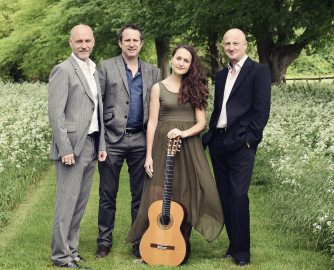 Founded in 2007, the VIDA Guitar Quartet brings together four of the UK’s most exceptional guitarists, all well known as soloists and teachers. The Quartet are no strangers to Weston, using our church with its excellent acoustics as a recording studio – including their latest CD ‘Bachianas’. However the Eden Stell Duo last performed for us in 2016, and the Vida Quartet not since 2010, so this is a very welcome return.